Ask any seasoned hunter and they will tell you that hunting takes precision and patience. The key to hunting is taking proper aim and remaining steady. Nonetheless, regardless of the weapon you are using (like a shotgun or bow and arrow), there are many factors that can affect a hunter’s aim while out on a hunting trip. Depending on the weather condition, extremes in either direction of the thermostat can have adverse conditions on your hunt. 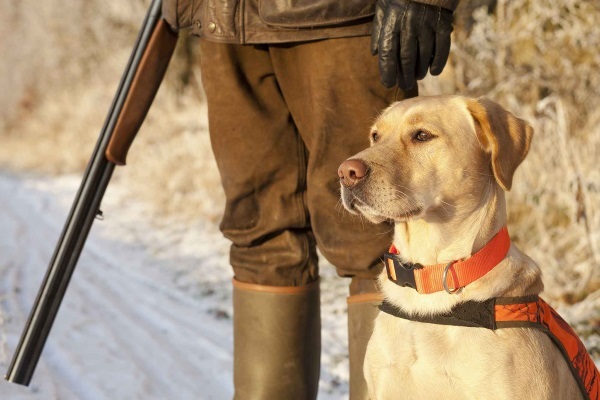 To have a successful hunting trip that you enjoy, take the right measures to keep your weapons – and body – in the right condition. Hunters going out with a bow and arrow have a different set of concerns when they are out in the field. A bow and arrow requires less maintenance in cold weather than a gun, but other factors can still affect your aim. Cold weather has a tendency to sink deep into your skin, causing you to shiver uncontrollably if you are not wearing the right clothing. Shivering while holding a bow and arrow can seriously affect your aim, while the extra clothing necessary to combat the cold can also become bulky and potentially get in the way when you are pulling back your string. Keep this in mind when you head out on a bow-and-arrow hunt in extreme cold temperatures. Wear a light yet wind-proof layer to stay warm without it affecting your aim. For gun-hunting enthusiasts, the set of circumstances affected by cold weather is different. Guns require lubrication to work properly, and lubricants tend to perform poorly in cold weather. This can lead to dangerous scenarios. The hammer of your gun needs lubricant to fall properly once you have pulled the trigger. In extreme cold, the fall of the hammer may be affected and cause a delayed reaction. Which means that when you pull the trigger, the bullet will not release, which would sidetrack your hunt. In more extreme weather conditions, the cold can even end your hunt completely if the lubricant freezes and renders your gun useless. To avoid this hang-up, seasoned hunters recommend getting a bolt-action hunting rifle when hunting in cold weather. They tend to perform better with less lubricant, and can be stripped down and degreased easily in case of extreme weather conditions. Either way, before heading out on a hunt in extreme cold, make sure you degrease your gun with good quality lubricant to avoid these potential pitfalls. Other recommendations include putting a strip of tape over your muzzle’s tip to prevent snow from getting inside. When you wrap the tap, take care that it doesn’t affect your bullet’s point of impact after pulling the trigger. Cold weather can also affect your bullet’s trajectory, making it drop quicker after ejection. To avoid this, adjust your aim to be a degree higher for every degree the temperature drops. Logically, extreme heat conditions have the exact opposite affect on a hunter’s weaponry as extreme cold conditions. For bow and arrow hunters, the major concern is the effect heat can have on your bow. It is recommended that you keep your bow in mid-range temperatures as much as possible, as too much heat can cause the bow and/or the string to snap, often causing permanent damage that can cost a lot of money to fix. With guns, one of the main concerns is making sure that your ammo is not exposed to the extreme heat, as this can be disastrous. Ammo in heat may explode, causing damage to surrounding items or yourself. Additionally, the extreme heat conditions can change the air pressure around you, causing your bullet to drop slower than in extreme cold conditions which can affect your aim. Seasoned hunters suggest finding a hunting site early to test how the rifle works in heat conditions, and then adjusting your aim as necessary.